Kenton's Infotainment Scan: So begins the great blogging experiment! Sounds like a great assignment! While I do wish we had covered this material more while I was still in school, I think I have sufficiently immersed myself enough in the blogosphere over the last few months that I know what I' doing for the most part. Still, it's great to force people to do it through school so they will explore something they normally wouldn't have. I can't believe how much thing have changed in the to years since I started Cre Comm. There was never a hint of doing anything like this when I was a first year! This is going to be an interesting experiment. But as much as I am looking forward to what the students will produce, I can't agree with the statement, "Every communications professional should have a blog." For one thing, it's overkill. It assumes that every communications professional is capable of producing a blog worth reading. That's simply not going to be the case. Like any other profession, PR has its share of hacks who should likely refrain from blogging. I hold no special esteem for my colleagues who blog (except for Kenton Larsen, whose share of my available pool of esteem is wholly disproportionate), nor do I hold those who don't in contempt. One statement in your post that I do agree with is, "Hits tend to drop on weekends, when people aren’t trying to kill time at work." If there were ever a study conducted to calculate the workday productivity lost to the Internet...well, that number would be huge. The Internet is the biggest productivity killer since the invention of the water cooler. And long may it be so. George Orwell didn't foresee that in the future, we'd all be Big Brother, eh? I guess that's more an indictment of YouTube than blogging. While having a blog is certainly an intrusion on one's time, I don't agree with the point that everyone having a blog is an intrusion on free speech. The alternative is the gatekeeper system where only a few voices are heard and presumed to be "representative." We're also talking about having a network of blogs - 75 people dedicated to making the world a better place to live in. You may say I'm a dreamer...etc, etc, etc. To perhaps put too fine a point on it: I think that the reason every communications professional should have a blog is so that he or she knows how it works. The reason a communications student should have one is to show a potential employer what he or she is about and, simply, what his or her writing is like. I firmly believe that anyone who writes half an hour a day will become an excellent writer - to refrain from blogging may protect the world from some terrible blog - true - but it might also deprive the world of some great ones. I don't know what I'd do without my Progressive Winnipeg and PolicyFrog, and it would've been easier for both of these gentlemen to pursue something else. Like scrapbooking or flag football. I'm glad they didn't. That was one of the best "Anonymous" comments I've seen in a long time. It's nice to know that people can still put together well-thought comments without resorting to name calling when they are under the cloak of anonymity. 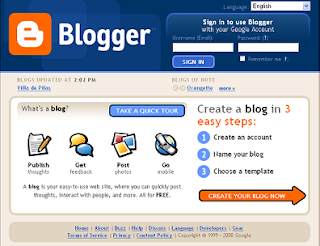 I agree with Kenton, that having a blog is a great alternative to the old gatekeeper system. The whole idea behind free speech is that everyone should have a voice (even those we wish didn't) and blogging is one of the great ways the internet empowers the common man to speak out. Right now, having a blog is a good showcase of your communication skills for a prospective employer. Five years from now it may be so commonplace that you'll have to set yourself apart some other way, but for now it's a good thing. Love your new website layout, but the comments aren't working! Thanks also for linking to the Star Trek clip I posted on YouTube. Someone had to do it! Okay, comments are fixed, but I had to turf the mario layout. Mr. Anonymous makes one good point. Not all communications proffesionals should have a blog, but they should all be familiar with the blogosphere as a whole. Chances are, whatever company the students work for after they graduate will want them to maintain a blog of some kind. It's a no-brainer in today's online world!